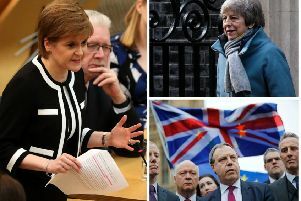 Theresa May’s top advisers have sacrificed themselves in a bid to save her premiership as friends and rivals alike move to exploit her government’s weakness. Nick Timothy and Fiona Hill, the Prime Minister’s co-chiefs of staff, both resigned amid reports that MPs had issued an ultimatum promising a leadership challenge on Monday unless the pair quit. Ex-minister Gavin Barwell, who lost his seat in Thursday’s election, was last night named as the new chief of staff. May will address the backbench Conservative 1922 Committee tomorrow evening in a bid to shore up support for her remaining in No 10 despite having her majority wiped out in last week’s election. Senior Conservatives want to avoid a lengthy and disruptive contest to replace her, but the depth of May’s unpopularity within her own party was laid bare by a survey on the influential ConservativeHome website suggesting 60 per cent of its members want her to resign. May also looks set to be backed by the Democratic Unionist Party (DUP) as she attempts to run a minority government following the general election. Downing Street said last night that an outline agreement on a “confidence and supply” arrangement had been reached which will be put to the Cabinet for discussion tomorrow. May is relying on the votes of the 10 DUP MPs to pass the government’s programme, which will be set out in the Queen’s Speech on 19 June. But Conservative backbenchers have openly questioned the proposed deal, voicing concerns over the DUP’s record on equality and reproductive rights for women. Ruth Davidson revealed she demanded a “categoric assurance” from the Prime Minister that gay rights would not be affected. Hundreds of equality and abortion campaigners protested outside Westminster yesterday against an agreement with the DUP to prop up a minority Conservative government. There was outrage at the suggestion by Conservative MP and former Northern Ireland secretary Owen Paterson that the DUP could seek greater influence over laws governing abortion in the rest of the UK. May will seek to cling on to power after losing both of the loyal advisers who have formed her inner circle since she led the Home Office. Conservative MPs blamed Nick Timothy and Fiona Hill for the party’s stilted general election campaign, accusing them of running a paranoid and insular Downing Street operation that rejected criticism and failed to adapt to changing circumstances. That impression was underlined in a brutal account by Katie Perrior, the former No 10 director of communications who stood down in April on the day the general election was called. Perrior claimed the Downing Street operation run by May’s top advisers “stank” of arrogance and said the reaction to Thursday’s result lacked empathy and emotional intelligence. She accused the pair of “rude, abusive, childish behaviour” towards fellow staffers and cabinet members, and said they “measured success by how many enemies they had clocked up”. In a resignation letter published by ConservativeHome yesterday, Nick Timothy took the blame for his party’s disastrous manifesto policy to raid the estates of pensioners after they die to pay for their social care. But he tried to shift the blame on to Lynton Crosby, the Australian campaigns guru brought in to help lead the election effort, for failing to get “Theresa’s positive plan for the future across” to voters. Timothy also implicated the Conservative polling team, which included the former Barack Obama adviser Jim Messina, for failing to “notice the surge in Labour support, because modern campaigning techniques require ever-narrower targeting of specific voters”. Fiona Hill issued a far briefer statement backing the Prime Minister to remain in charge. May will argue that a three-month leadership race is impossible as it would clash with Brexit talks set to begin next Monday when she goes before the 1922 Committee tomorrow. In a sign the turmoil engulfing British politics is being keenly watched in Brussels, the chief of staff to EU Commission President Jean-Claude Juncker, Martin Selmayr, responded to reports of the resignations by tweeting the German word “Bauernopfer” – a chess term meaning to sacrifice pawns.